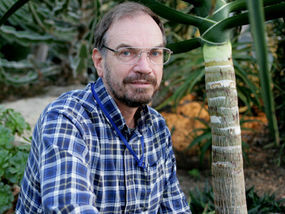 After living and working in various eastern and southern African countries for almost 30 years, Jonathan now works as Editor of the regional Flora Zambesiaca at the Royal Botanic Gardens, Kew in the UK. He also leads botanical expeditions and carries out survey work across the region, particularly in Mozambique. An applied botanist, with particular interests in vegetation survey, plant ecology and conservation, but has also run a regional NGO in Zimbabwe and carried out numerous project evaluations and consultancies across southern and eastern Africa.